My Zenith Z50PX2D popped a week ago. Two loud bangs and no picture etc. When I plug in. I hear two clicks, like a relay or some such. When I turn the set on(button or remote), the front light blinks green three times and then turns amber/orange. No picture, no sound - nothing. When I plug in and turn on again, I see a green led light on the power board (the one in the center of the TV, when you remove the back) blink a few times. If I pull the plug off and then repeat the process by replugging and turning the set on, it does the same - a couple of relay clicks, green led blinks on the board, the front light blinks green three times and turns amber/orange. It appears it quite a common problem. I can see from your write up, I have two options. 1) Send in the Y SUS board (6871QYH039A) for repair and servicing. 2) Get the two IPM's and replace them myself. 1)How do I take the heat sinks off to see the IPM's? 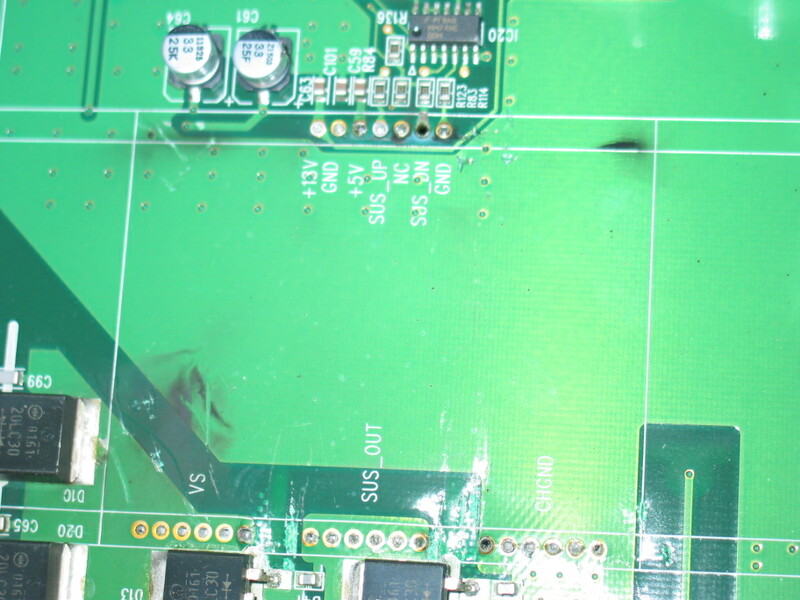 2)How do I verify that the Z-SUS board too is not bad. I've read a lot of places that I have to replace both boards at the same time. I have an HP 50" that the screen kinda flashes. I am not measuring any VSC voltage with a voltage meter. I do see voltage when I hook up a scope but I assume that the voltage measured at the Test point is the delta between the two signals. There is a FET that is getting pretty hot which could be the issue but it could be upstream. I will take out the FET and see if it looks like its damaged. Let you know what I find. I removed the IPMs and did not see any damage. I removed them because I measured the 18V input supplied at the IPMs and measured 16V. Hopefully I can track it back from there. Nice write up. I have a Vizio 50 Plasma. Same issue. Pop and no picture. one result being the power supply board timed out when I plugged in the unit after 5 sec or so. I do not know if this applies to all situations but on the y-board (generally on the left viewed from the back) there are 2 "barrel" fuses that are replaceable. pop them out one at at time. when I popped out the Y board fuse my power board remained on. I then disconnected all the components and isolated it further. 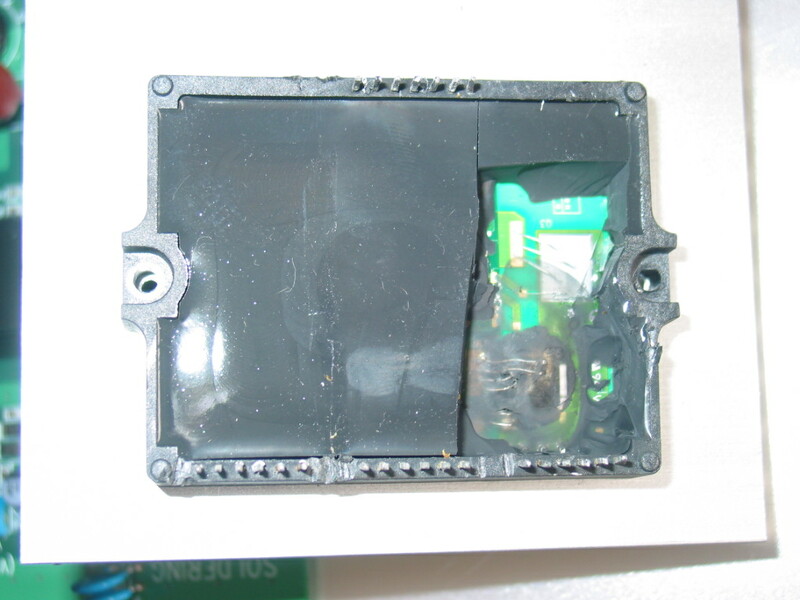 As for replace or repair, is there an easy way to unsolder the Ics you pictured. I was able to find out why I was getting no VSC voltage. 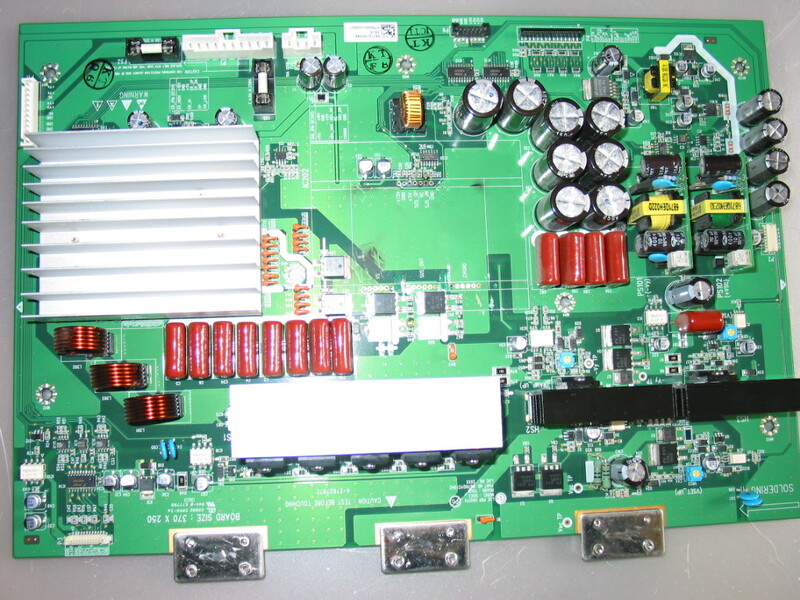 There were two shorted FETs on the Y Upper Drv board. I was able to replace the FETS but I am still getting a blank screen. I see some red pixelation when the TV is first turned on but then the screen is blank. All the Voltages are there. I may need to go back and setup voltages. Concerned that one of the Y drv chips is blown. Gymi - Removing the IPMs requires a very hot soldering iron (45W) with a solder sucker. I would be careful removing since you may pull a solder barrel. If you know the parts are bad you might be able to cut off the part and then remove the pins with a hot soldering Iron. Coppel has the parts. I'm looking or some part for my plasma LG model is 50PC1DR. my TV keeps turning off while It was pressed ON. Can you tell me the part name or part number for that issue? Is that PCB board ( ZSUS, YSUS or XSUS)? You can't tell based on this description alone. Disconnect ZSUS power from Y sus and try again. If it powers on then ZSus is at fault. If it still the same then disconnect YSUS from power and try again. If it works then YSUS is faulty. If it still doesn't then it's not clear if YSUS or ZSUS, but power itself needs to be serviced for sure. Follow-up with us for service if you need it. I want to thank Bob at CTVR for his help and quick shipping of the 4 new IPMs for my Z-sus and Y-sus boards. I replaced all four even as the Y-sus board was the only one with a fried chip, as Bob explained in several of his blogs that the IPMs are essentially 'wear' items and will fail eventually. His sage advice and some encouragement went a long way to completing my DIY repair, and while I was at times frustrated with desoldering 20 some pins per chip, I eventually got them all out and the new ones back in and powered the set up to... success! FWIW, I have a late model PL5060N (April 2006) with the B revision Y-sus and the C revision Z-sus. 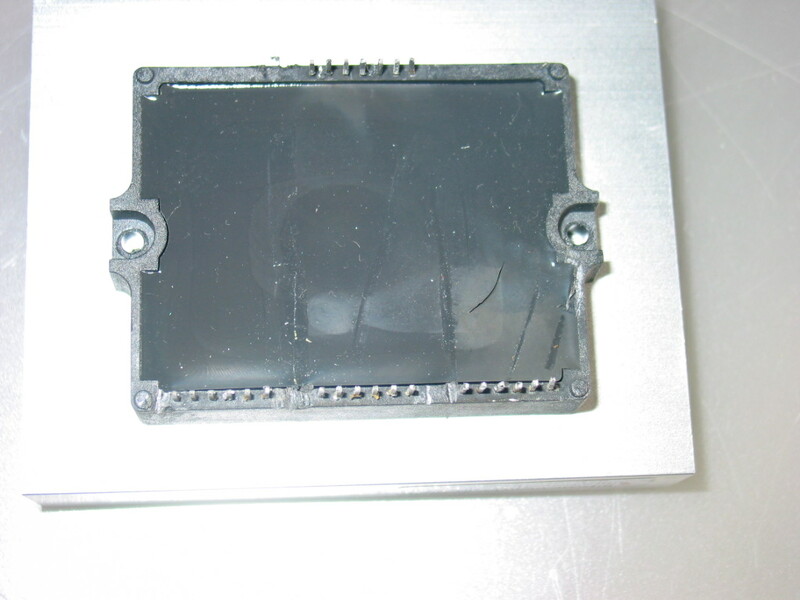 I used SANYO IPMs to replace damaged components because that was what was there before. I own a HP PL5060N. It made the popping noise and the screen is blank. I still have sound but no picture. We've had this unit for about 5 years. Took the unit to a tv repair place who said it would cost $563 to fix the problem. When asked how long it would last, we could not get an answer. My husband want's to get a new flat screen and I want to get this one fixed. What do you guys think? Also, the shop is asking us to pay $75 for looking at the tv and is also asking for the speakers that came with it. Any advice???? Thanks. I have a Toshiba 42hp66 Plasma same problem. Can you give some info on diagnosing in Tv or out of tv? After spending hours trying to remove an IPM from one Ysus board which I scorched and basically ruined I have managed to make a nice little IPM removal tool using the leftovers from the first ysus board . Take one heatsink and batter the fins flat with a hammer leaving the middle two standing...crimp the ends of the remaining fins together and seal inside ends with fireclay or good filler of some sort . You can now stick the tool on a ring on your cooker( using the other heatsink as a stand if you like ) ...fill the channel you have made with solder once it heats up .Overfill so surface tension gives you a dome of hot solder along the top so you can now easily desolder one side of the IPM at a time . Works a treat and doesn't knacker the Ysus board if you take your time and don't rush it /force anything . Powering on my Vizio P50HDTV10A, the screen flashes with a corresponding "ticking" noise coming from the Ysus board (I do get sound from the tv). I disconnected the power lead from the Ysus going to the Zsus resulting in no picture with still the "ticking" sound coming from the Ysus. Next I disconnected the power leads going to the Ysus resulting in no picture and no "ticking". Does this sound like a defective Ysus? I am going to seek help locally first. If nothing, I want to send you by y sus and z sus boards from my HP PL4260N Plasma. But, I cannot figure out how to get the z sus board totally disconnected. y sus is easy. But, z sus has these copper, thin sheet-like cables attached, and I don't want to break anything disconnecting. Is there a trick I'm missing?